Designed for users who require print shop copy quality the Xerox Phaser 7800 Colour Printer combines superior image quality and professional level colour matching. No other A3 paper size colour printer gives creative professionals the freedom to produce more. 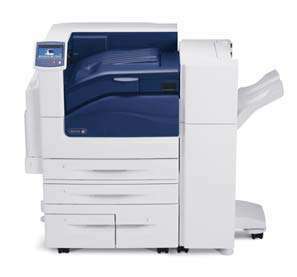 Users can print on a wide range of papers with the Xerox Phaser 7800 Colour Printer, giving users the ability to produce full colour brochures, posters, banners, sales proposals, booklets and even business cards. The outstanding quality and Pantone matching capabilities of the Xerox Phaser 7800 Colour Printer make this one of the best on the market.